1. A.J. Graves lays more pipe than you do. Butler's 6-1, 155 lb. Emo-bang wearing A.J. Graves lays pipe all summer long at his family's plumbing business in Switz City, Indiana. A.J. was all-state at White River Valley H.S. in 2004 and finished two votes behind North Central's A.J. Ratliff in voting for Indiana's Mr. Basketball. He wasn't recruited by any of the major programs and chose to follow his brothers Andrew and Matthew to Butler, choosing the Bulldogs over Indiana State, Xavier, Bradley and SIU. A.J. led Butler to the preseason NIT championship this year, beating Notre Dame, Indiana, Tennessee, and then, after shrooming the night before with Josh Heytvelt, beating Gonzaga in the final. At that time, Butler's R.P.I. was 1. Because A.J. is widely regarded as the best looking Graves brother, we could totally see him laying lots of pipe, even without the plumbing thing. 2. Greg Oden in a Butler uniform? But for the incompetence of the former Butler Athletic Director, it could have happened. Thad Matta, the current Ohio State coach, was the head coach at Butler in 2000-01. That year, Thad's team beat the crap out of Wake Forest in the first round of the NCAA tournament, 79-63 (Butler was actually up 43-10 at the half). After returning to Indianapolis, Thad, who was then on a three-year contract, met with then-AD John Parry about his contract. According to a reliable source, Thad didn't want any more money, just some job security, and asked for a 10-year contract. The genius John Parry refused. Several weeks later, after Skip Prosser left Xavier to take the Wake Forest job after Dave Odom went to South Carolina, Xavier came calling. It seems that the Xavier president had dinner in the same Kansas City restaurant as the Butler team during the NCAA opening round (XU was in the same regional) and was impressed with the way Thad's team handled themselves, so he told the Xavier A.D. to go hire Thad, which he did. Three years later, after Jim O'Brien starts shipping money to recruits, Thad ends up at Ohio State. It goes without saying that Thad is the reason that Oden went to Ohio State (what, do you think Dan Peters can recruit now that he no longer has access to Bob Huggins' checkbook?). So, given the NBA rule change that has Oden in college for one season, do you think Thad would have been able to talk him in to coming to Butler to play in historic Hinkle Field House in front of his hometown fans? I think yes. 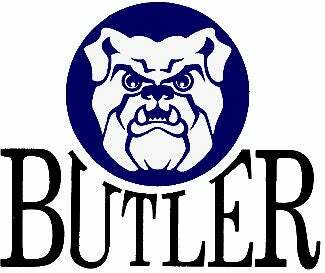 And but for the incompetence of one Butler A.D. in refusing to lock Thad up for 10 years, it could have happened.